There are many people out in the world today who prefer to do their reading on electronic devices such as E-readers, tablets, computers, or even smart phones, however, there are just about as many people if not a little more who still like the feel of a paper page between their fingers as they are reading along with their favorite book. I belong in the second category, at least that was until my favorite book was ruined by….water, which was a gift from a child. This sudden turn of events lead me to research a bit more into the electronic reading fad that seems to be sweeping the nation. As with pretty much anything in life there are pros and cons to both sides of this “debate” and today we are going to show you a few that we have come up with, in order to help you decide what your preferred way of reading is. First, let’s take a look at the E-readers; they are really nice to have around because you can store literally thousands of books on one E-reader. Have you ever tried to carry a thousand books around in a backpack with you? Neither have I but I can only assume it would be very difficult. By having easy and quick fingertip access to books college students and students in general can have an easier time researching topics and writing papers. The only real cons I could think of for E-readers were the fact that if your battery dies you are in trouble; however, with solar power on the popularity rise spectrum you can easily find a solar power charger with a proper adapter for your E-reader. The other con I found was that like books if your E-reader gets wet then again you risk losing all your books, just like would happen with a traditional paperback book. If you think about it though you could probably find a “life proof” case similar to the iPhone cases for your E-reader now a days. 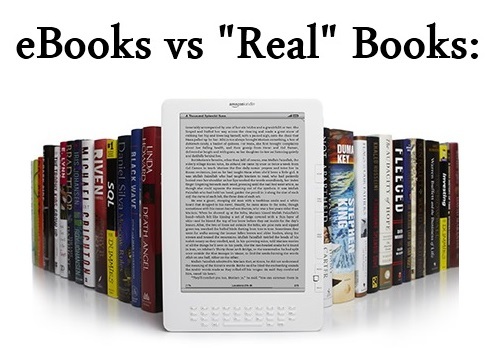 So, really we have debunked the popular cons of having E-readers, so other than the feel of the paper between your fingers and the smell of the pages as you read there really is no major difference between the two. That was the conclusion I came up with when I was deciding whether I should go all E-book fan or not, and while I will still take a paperback over digital any day, I have to say I am really enjoying being able to buy my book and read it within minutes, instead of having to travel to the bookstore or even worse waiting for it to ship. If you’ve heard the PLR buzz you’re not alone. Does Affiliate Marketing Still Work in 2018?